Home / Internet / Essential Factors Of ‘Direct Cloud Connection’ : A Solution or Otherwise! Essential Factors Of ‘Direct Cloud Connection’ : A Solution or Otherwise! Existing corporations along with start-ups have realised the potential of going digital and have taken the steps to transfer over the platform or simply start anew. This ‘movement’ introduced them to cloud infrastructure services in a much broader way and perhaps the best way to scale IT services. Seamless performance and security remains the top priority following the rise of cyber-threats. 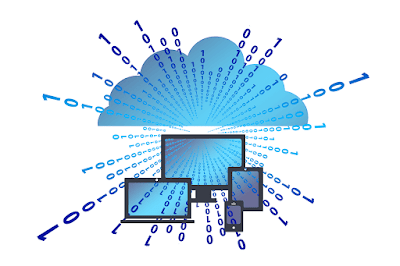 Private cloud provider alongside likewise services came up with direct connection to the cloud that actually helped in solving such issues to a certain extent. Enterprises however, would eventually find that the network itself is the basic issue during the transformation. Unless new approach is being explored to the network architecture, problem would retain. In its early stage, cloud connection was possible only through the public internet being the standard medium which was sufficiently flexible. As long as developers and technical users can conveniently access resources from many different IaaS vendors with Microsoft Azure and Amazon Web Services being most common, public network was acceptable. Shortcomings to the application deployment strategy came forth when cloud service provider face some sort of outage for instance the event of Amazon’s major outage in February 2017. In most cases, application depends on the cloud network to transfer the data from one end to other. That being said, enterprise-wide network itself remains a major and unaddressed issue when performance and availability is concerned. A prediction model concluded that connection bandwidth between the IT/cloud service providers and enterprises would grow at approximately 160% CAGR by 2020 which is 547 terabytes-per-second aggregated bandwidth capacity. For enterprises today, the best solution to counter performance issues with WANs and cloud is moving traffic away from the public internet and establish direct connection with private cloud provider. These services involve purchasing connectivity from a network service provider having association with a cloud provider. Many big-time corporations have already moved to this specific service, offering interconnectivity and defined as exchange of traffic through distributed IT devices in the most basic form. At times, choosing a service provider to link cloud tech with enterprise seems easier but, technology involved with each is different as well as the service cost. Clear understanding of the different cloud solutions is therefore a must and they must cope appropriately with the enterprise’s’ infrastructure and oversee smooth operating procedures. Whatever you chose would have a direct impact hence care is a must. Unlimited plan costs more but availability and quality of service is excellent. Both Google and Microsoft offer options that allow smooth flow of data along their respective private network and into desired regions in a secured way. Previously, Google provided direct peer use for the public cloud services however now offers ‘direct connection’ as a service. It’s useful for private cloud environments for hybrid on and off premises. It must be noted that a few datacentre providers have private networks amongst the facilities, a metropolitan region, between different cities and even countries. This is the reason they’re considered a competitor to the traditional fibre optic and telecom network services. With direct connect, security and transference of information over the public internet is indeed an advantage. During early stages of cloud adoption, many corporations would find these as a perfect solution to the needs but, beyond exploiting the IaaS, how a company can solve security and performance issues for various SaaS applications such as Office 365 or say Salesforce! It eventually becomes apparent that one-to-one link with each cloud service vendor is a challenge when scaling from typical cost to operational point-of-view. In case a business is already operating on global scale and further plans expansion in farther Asia and Europe, the old-fashioned WAN architectures and topologies are static and rigid where linking all to the cloud providers takes significant time and cost much heavier. Enterprises nowadays need to upgrade their operational platforms and strategies per technology in order to remain competitive in the long run.